For my Applications experience, I was sent to the City Reliquary in Williamsburg. Though I’ve been living in New York for many years and have even passed by this place many times on the way to and from the G train, I’ve never taken notice of it. It’s amazing how much you miss everyday in the city if you don’t pay attention!! 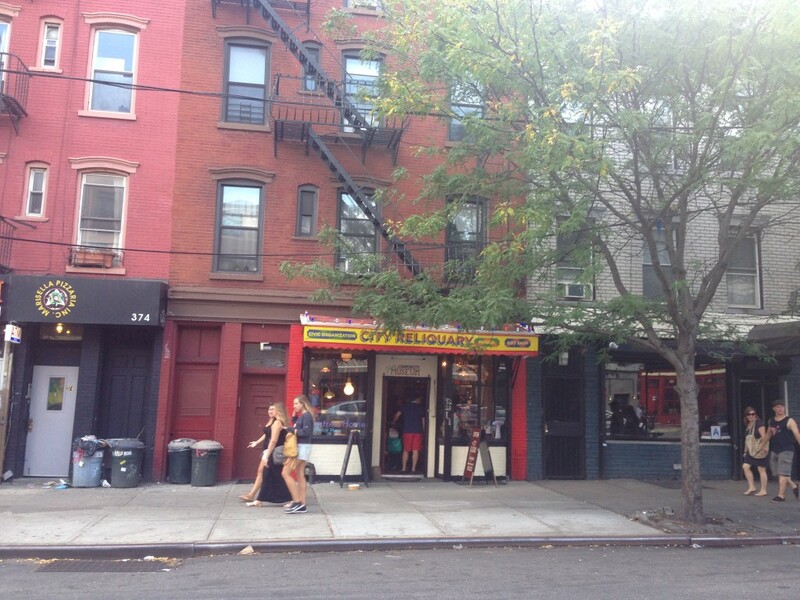 From the outside the City Reliquary looks like any other hipsterish storefront in Williamsburg. And as a matter of fact, they do share the front of the space with a hipsterish store, which confuses their visitors a bit. Many people came in to check out the store, not even knowing the back is actually a museum. This is Ben. 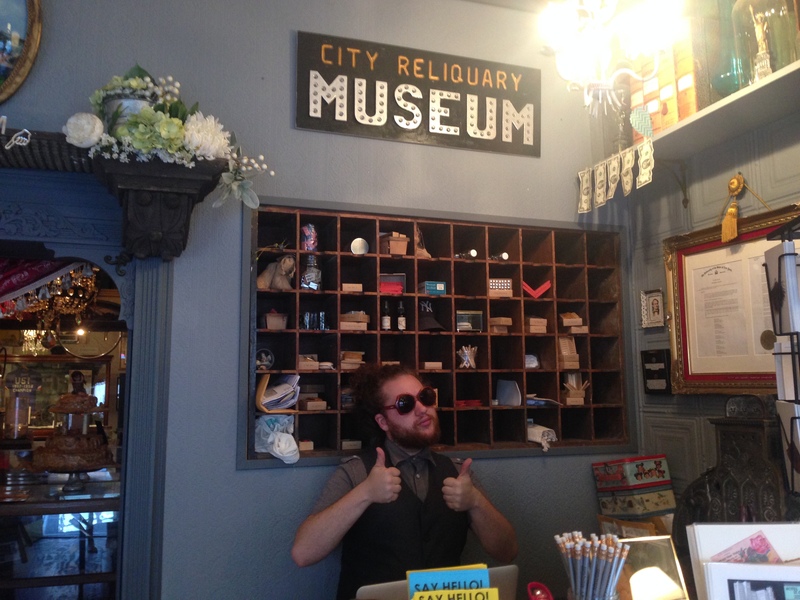 Ben is the director of the City Reliquary and he was manning the vintage cash register on this particular Sunday. Ben is very friendly and enthusiastic. You would definitely feel bad going in the museum without donating when Ben’s around. 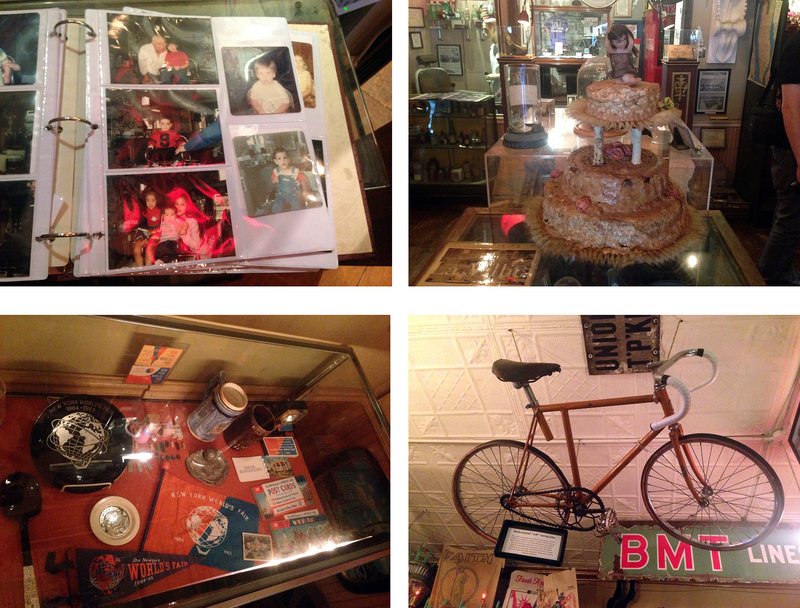 The City Reliquary has a rotating exhibit as well as a permanent t collection. There are lots of interestingness, from a quasi naked doll cake to old photographs of New York childhoods to memorabilia from the 1964 World’s Fair. 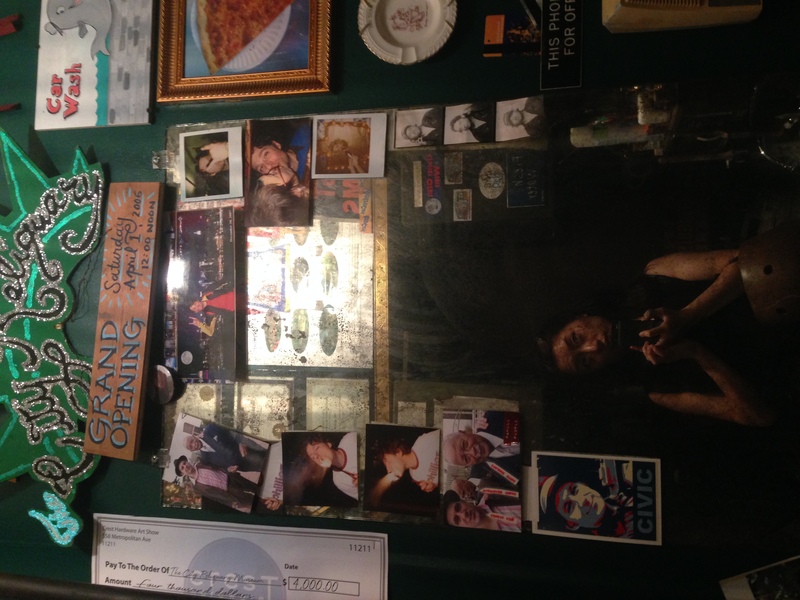 The back room displays a signage from the old 2nd Ave Deli, along with rows and rows of old pencil sharpeners and Chinatown styled coffee cups as well as vestiges of New York folklores. 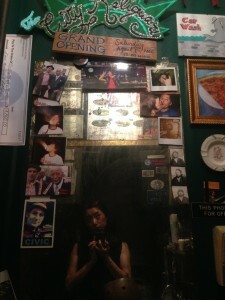 Even the bathroom is decorated with collective memories. There is a spacious (by NY standard) backyard, where you are welcome to chill with beer and snacks. Someone had made a shrine of New York landmarks with a bathtub. 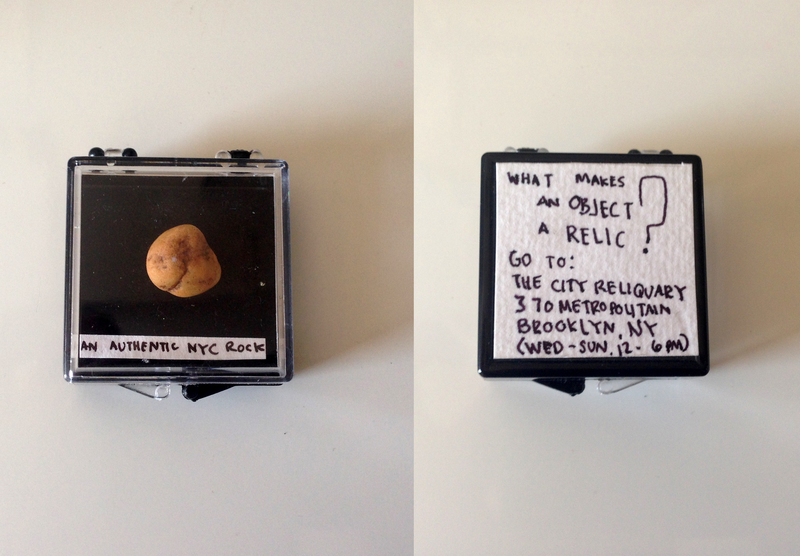 All in all, the City Reliquary was a delightful treat. It’s a place that makes New York seem as if it’s a big eccentric family that never throws anything away and holds on to a past where magic is always around the corner. ← Previous Post Welcome friend!